So you and your partner are considering to breastfeeding your baby. Well, don’t fall into the trap of just assuming that because you don’t have breasts, feeding will be just “mum’s ‘job”! You should know that your opinion, input and support throughout the process is fundamental, and it can really help to shape your baby’s feeding journey in more ways that you can imagine! Studies show that mums whose partners are supportive of breastfeeding feel a lot more confident in their ability to feed their baby and also go on to breastfeed for longer, so it’s really important that you know the basics, understand your role and know how you can support your partner. When making the decision to breastfeed, it’s important that neither of you feels pressured to do so. You should talk about how you both feel about breastfeeding your baby, and it might be good for you both to consider the nutritional and health benefits to both mum and baby. •	Breast milk is the perfect food for baby – it changes composition and calories content throughout the day, and it meets baby’s nutritional needs perfectly, in a way that cannot be replicated by formula milk. •	Antibodies are passed from mum to baby through breast milk, and this can help them fight infections a lot easier. •	A breastfed baby is less likely to have diarrhoea, constipation and vomiting. •	Breast milk also reduces the risk of chest and ear infections, eczema and obesity in later life. But there are also health benefits for mum! •	Did you know that breastfeeding significantly lowers the risk of breast and ovarian cancer? •	Breastfeeding uses up approximately 500 calories per day, so it can also help some mums to re-gain their pre-pregnancy shape a lot quicker. And let’s be honest, breastfeeding can be quite a ‘convenient’ choice for your family as a whole – the milk is always there, ready when needed, and at the right temperature. You don’t need any equipment, preparation and sterilisation time (and that can only be a bonus when baby wakes up for that 3am feed), and it doesn’t cost you a penny either! So if it’s good all round, where’s the catch? As natural as it may seem, breastfeeding is a learned skill, for mum AND for baby! It takes some time (a few weeks) for mum to feel comfortable and confident in her newly learnt skill, and you will play a massive role in how she feels. If you want to help and make it easier for your partner from the start, the best thing you can do is to prepare. Make sure that, together with your partner, you learn how breastfeeding works. Yes, you read that right. Learn all about colostrum, foremilk and hindmilk; learn about feeding on demand and about latches and positions (or holds). If your partner is attending a class or course, make sure you go along, and if not, be ready to look for some inclusive classes in your local area. You knowing your facts will pay dividends later as, whenever your partner is feeling unsure and not 100% confident, or if she experiences discomfort and pain, she’ll know you’ll be there to help her. And she’ll trust that even if you don’t have all the answers, you’ll know how to get help. So make sure that you use your midwives and health visitors whenever you can in those early days, and arm yourself with a list of helplines (listed below) which will give you access to organisations who can support you and your partner in your journey. 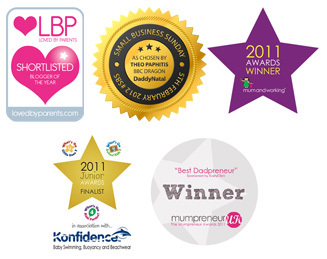 So, once your baby has arrived and mum has started breastfeeding, how do YOU fit in? How can YOU practically help? 1. First things first, remember that when it comes to pregnancy, birth and parenting, everyone has an opinion! Be prepared to be the one defending your family’s feeding choices in front of not-so-understanding family and friends who either don’t agree with your methods or decide to share well-meaning (but unsolicited) tips and advice. 2. Being positive about breastfeeding is crucial, so make sure that you compliment mum and tell her how proud you are of her and how well she’s doing. You’re doing this as a family, so try and fend off any negative comments coming from anyone else who doesn’t appear as supportive as you are. 3. All that preparation that you did in advance will come in handy now – be prepared to know how important a good latch is, for both mum and baby, and help your partner to get herself comfortable and well supported whilst feeding so that she can achieve a latch that she feels happy with. 4. Remember that for most mums, breastfeeding can take some practice at first. Make sure that mum is comfortable and well supported wherever she decides to feed the baby. Babies are all different in the way they feed, and whilst some of the feeds will be really short, others can be quite long, so it’s important that mum is comfortable in the position that she has chosen and that her back is well supported. If she’s feeling self-conscious when feeding, help her to find privacy in the house by keeping visitors at the door when you know that baby needs a feed or by helping her to use a muslin, sling or breastfeeding scarf or cover, if she wants to feed and cover herself in front of visitors or when in public. 5. Also, breastfeeding is thirsty work, so make sure that once she’s settled herself comfortably for a feed she has plenty of water to drink. 6. Breastfeeding mums need an extra 300-500 calories per day when breastfeeding, so make sure that she doesn’t skip meals. If baby wants to feed when you’re having lunch or dinner let them! Just make sure that you allow mum to eat as well, by helping cutting her food up so she can feed herself with one hand. 7. Give mum a break and a rest from time to time – resting is fundamental for a breastfeeding mum, especially in those very early days. You can take care of nappy changing, give the baby a bath, take the baby for a walk, or just enjoy some skin-to-skin time by taking your shirt off and holding your baby close to your chest (you can just hold the baby or place them in a sling or a carrier, even if it’s just to walk around the house). 8. In the night, help mum by going to get the baby for her when they need a feed. Why not helping her to burp the baby and settle baby back to sleep after the feed? You may find that this is actually a lot easier for you to do, rather than your partner, as baby won’t be able to smell the milk on you and may settle a lot quicker! 9. If you have other children, guests or visitors around the house make sure to keep them entertained whilst mum is feeding, so she can focus on feeding the baby in peace. 10. Try not to be jealous of that feeding bond that mum has with the baby, but rather celebrate it! You’re doing this as a team, and your support IS crucial! Once the first few weeks have passed and the breastfeeding relationship feels strong and ‘established’, you can always give your baby a bottle of expressed milk, but hopefully you’ll have seen how much more you can actually do for your breastfeeding partner and your baby! Straight off, let’s be clear, I am 100% behind the Mumsnet Miscarriage Care campaign… Time and again we work with parents who have been treated with such a lack of compassion ,that quite frankly, it is inhumane.